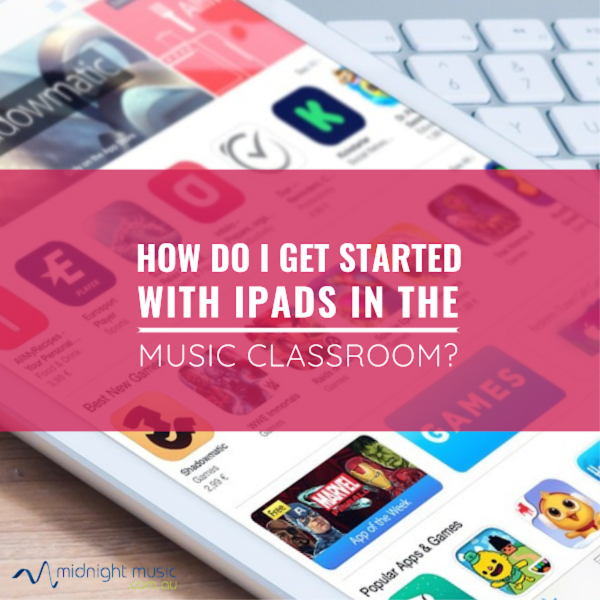 So, you’ve been given some iPads to use in your music classroom…where do you start? Music teachers have been utilising iPads since they were first released in 2010. While many purchased their first iPad with a view to using it as a digital sheet music reading device, it soon became apparent that the iPad could be used for music performance, composition, productivity, assessment, presenting and much more. Personally, when I bought my first iPad in 2011 it was a bit of a mystery and I think I barely used it for the first three months! Now it’s part of my daily life. Teachers can use their own iPad to create resources, increase productivity, present lessons to students, record performances, notate compositions, create backing tracks and to digitise and store their sheet music library. If you have access to multiple iPads for students to use, your students can use them to compose music, demonstrate learning, take quizzes, create videos, perform, read music, drill notes of the staff, learn music theory and more. One thing I’ve discovered is that different types of music teachers use iPads in VERY unique ways. The local studio piano teacher will use their iPad very differently to their elementary music teacher friend or their high school band director colleague. For this reason, it’s not always helpful to ask a group of music teachers what their favourite apps are. One teacher’s “can’t live without it” app may not be useful to you in your teaching situation! Don’t attempt to incorporate iPads into lots of classes at the same time. Start small! How are other teachers using iPads? When I bought my first iPad I had a feeling it was going to be a useful tool but the best thing was hearing how other teachers were using it. I had a lot of “aha” moments during those initial 12 months. So how ARE other music teachers using iPads to create teaching materials? How are they using iPads with their students? 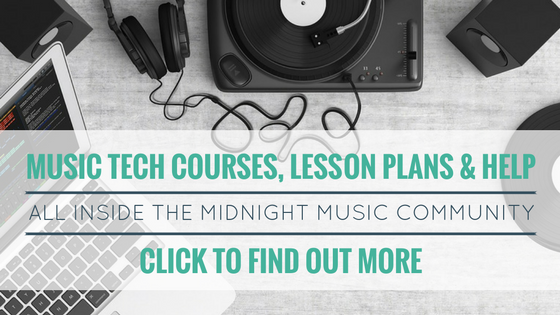 What do their iPad music lesson plans look like? How are they using them as a work tool or to increase productivity?